That's Not My Name - Kenneth, What's the Frequency? So, if you had no idea what I was referencing in last week's title, you get to find out! And if you already knew, get excited because we're going to dive right in! In this mystery, we get a brush with what I'm already studying: journalism. When R.E.M. or anyone mentions "What's the frequency, Kenneth?" we're talking about this very bizarre event that happened to Dan Rather, who was the CBS Nightly News anchor at the time, on October 4, 1986. I think the biggest thing we have to understand, though, is that's its one of those famous misquotes. When the man attacked Rather, he actually said, "Kenneth, what's the frequency," but thanks to R.E.M., we remember it a little differently. Warnings for physical assault and violence! October 4, 1986 at 10:43 p.m. Rather exited the apartment building of a friend on Park Avenue in New York City he was approached by two men, and then attacked by one. He was beaten and kicked to the ground while his assailant repeated the now famous line, "Kenneth, what's the frequency?" Rather then attempted to flee into a nearby building, where the two men followed and both beat him down to the floor. The doorman for the building he had run into broke up the assault and, naturally, the attackers fled. This was all told to the New York Times from a police spokesman. Rather had jaw and back injuries, but the extent was mostly bruising. So while the attack occurred on a Saturday, Rather returned to work on Monday, acknowledging the attack in his broadcast, calling it "bizarre." 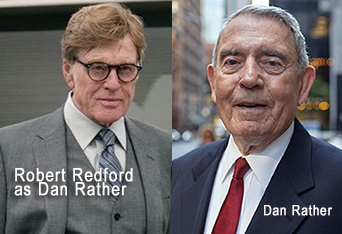 Dan Rather's name is not Kenneth. Part of what makes this so bizarre is that someone attacked him, seemingly demanding answers from someone who was not him. Rather tried to tell them "You have the wrong guy," only to be met with the repeated line again and a punch to the jaw. One of the executive producers at CBS suggested that since Rather was dressed casually and not wearing glasses, which he did not wear on air, that he was maybe suspected for someone else. However, when we get to suspects, this might not totally make sense. So let's hop to suspects. There's really only one suspect named with the case. Over ten years after the attack, Rather came to a conclusion over who could have possibly attacked him. By the time Rather came to the conclusion that one of his assailants was Trager, Trager was already in jail for fatally shooting an NBC stagehand outside Rockefeller Center. Additionally, it was outside the statute of limitations to bring charges against him for Rather's assault. A psychiatrist who interviewed Trager said both instances were due to paranoia and suspicion towards the media. The "frequency" he was questioning was related to the media broadcasting "hostile" messages into his brain. The psychiatrist, Dr. Park Dietz, attempted to confirm that it was Trager by asking both him and Rather questions about details on the attack. He claimed "there were certain details about the building in which part of the attack occurred that both Mr. Rather and Mr. Tager recalled identically. " Trager was clearly very mentally ill and was convicted for attacking a member of the broadcast media. So, he does seem like a logical answer. Thoughts? Conclusions? Is the case really solved? I have a couple issues with Trager. First of all, a lot of psychologist are not big fans of eyewitness testimony, especially over time. This is over ten years later for the both of them, and Rather was being attacked and beaten to the ground. It's understandable if he couldn't get a good look at the attackers' faces. Additionally, if Trager already had these feelings of hostility towards the media from his mental illness, it could take very little suggestion for him to get on board for being responsible. Plus, who was the second person? All the accounts of the story name two people attacking Rather. Especially after Rather had already tried to escape, I would think it would take two people to get him down again now that they no longer had the element of surprise. Did Trager mention a second person when the psychiatrist interviewed him? Does he think he did it on his own? I think a few places want to treat this as mostly solved, but I still have too many questions. REM & Dan Rather play What's The Frequency Kenneth? - It's a bit difficult to hear Rather, but he looks like he's at least having a good time. "2 assault rather on park ave." New York Times (1923-Current file), Oct 05, 1986. ROBERT D. 1986. "Park ave. assault on rather leaves mystery as to motive." New York Times (1923-Current file), Oct 06, 1986. ROBERT D. "Rather returns to newscast despite bruises from assault." New York Times (1923-Current file), Oct 07, 1986.